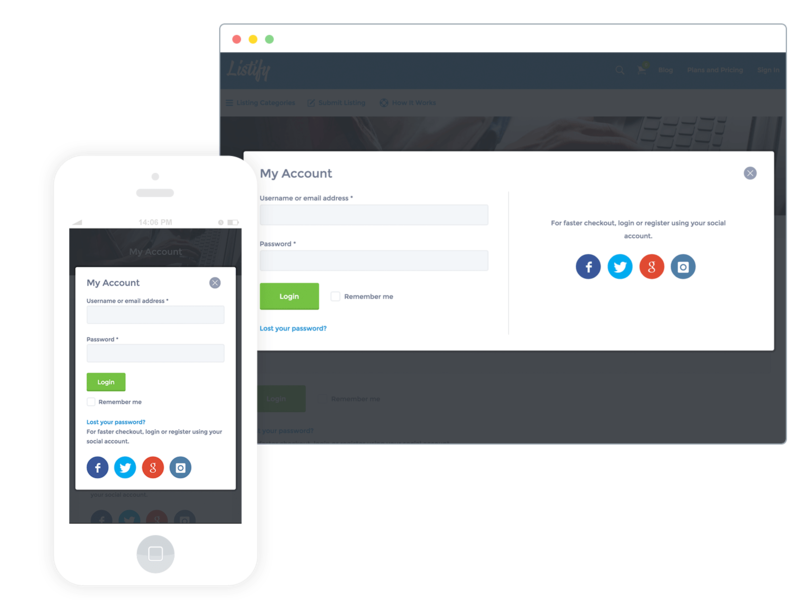 Creating an account with Listify is easy, with the�social login feature�it allows your visitors to login�easily, so that they won’t have�the �login/register� friction. They’ll be creating, rating and favouriting listings in no time! We�ve even�integrated with�WooCommerce so that the Social Login by WooCommerce plugin�(Plugin sold�separately)�and the standard WooCommerce sign up process is fully supported. Submitting a listing using Listify is super simple, we’ve made entering the address of your place easy, when using our Google Places API plugin�(Plugin sold�separately) it will auto complete the listing address. You can even fully customize your submission form either using PHP code using this tutorial or by installing the Form Editor plugin (Plugin sold�separately) this gives you full control over the display of the fields that are shown on your submission form. This won�t be the first time you look for a listing directory theme, but it may be the last time. Because with Listify you have more than you could ever want or need. 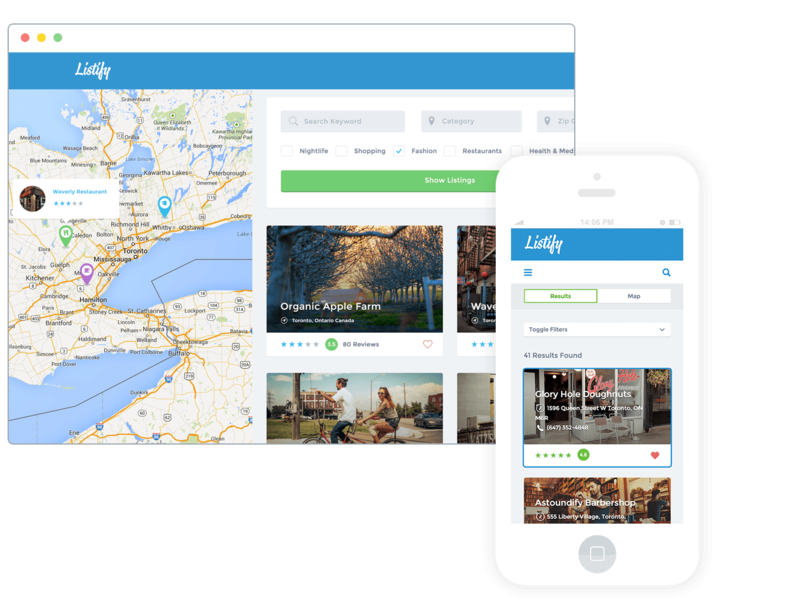 When using Listify your site will be a thing of beauty.�Let�s be honest. The problem with most listing directories, while highly functional, is that many of them aren�t very pretty. It�s why the beautiful ones are so popular, because they match great photography with fantastic functionality. That�s what we�ve done with Listify.